Wearing bracelets to match your timepiece is becoming a huge trend on Instagram. One of the more popular kinds is the "anchor" bracelet. 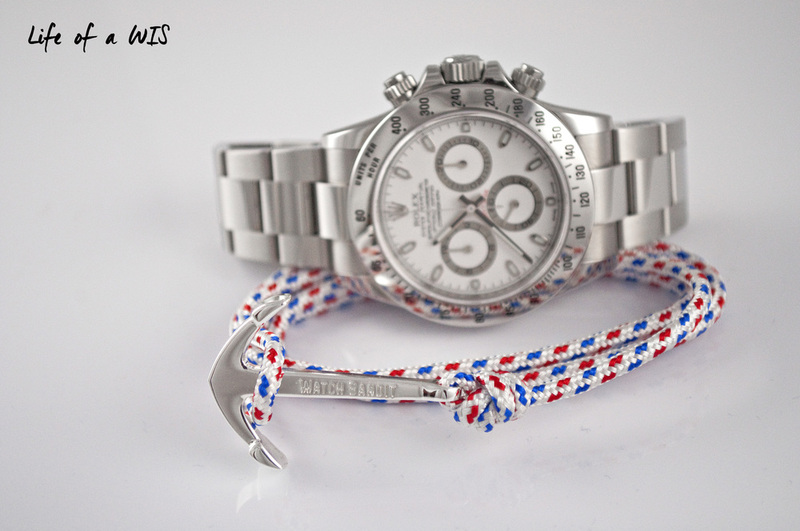 This North Atlantic bracelet is white, red, and blue... which is quite patriotic (if you live in the United States). Patriotism aside, this bracelet is simple, but looks great on the wrist. The anchor is shaped and sized just right and it has the brand "Watch Bandit" engraved on both sides, which is a nice detail. 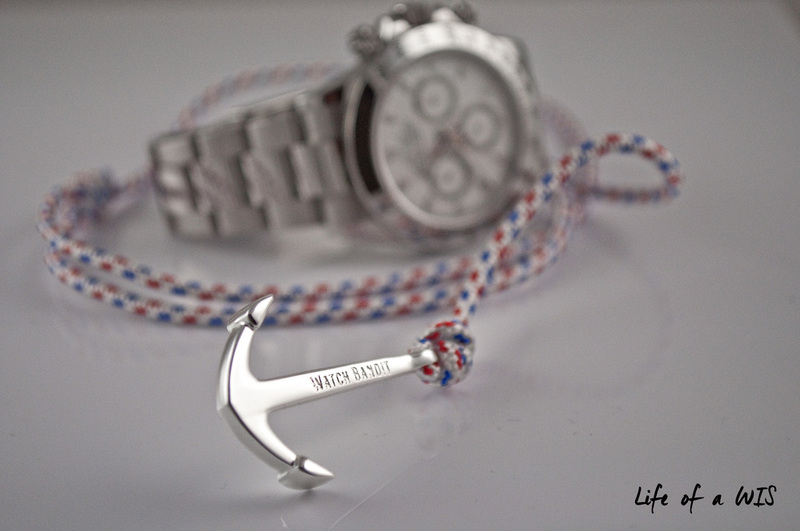 North Atlantic anchor bracelet by WatchBandit.com. Matches my Rolex Daytona to a tee. Overall quality of the anchor and nylon rope is top notch, with no visible flaws. Due to the mostly white nylon rope, I do fear that with time it will get dirty and darken. In terms of durability, the two components of the bracelet should outlast the trend itself ;-). The way the bracelet is designed allows for the perfect fit on any wrist. No matter how small or big your wrist is, this bracelet will fit. There is a portion on the nylon rope that can be shorten or enlarged. To find the optimal length, all you need to do is wrap the bracelet around your wrist until the end can be attached on the anchor comfortably (you might have to do this several times until you find your sweet spot). "Watch Bandit" is engraved on both sides of the anchor. Since the adjustment is basically endless, the perfect fit is just a few tries away. The high quality nylon rope is free of any rough surfaces and the anchor is free of any sharp edges. Overall, the comfort is fantastic. 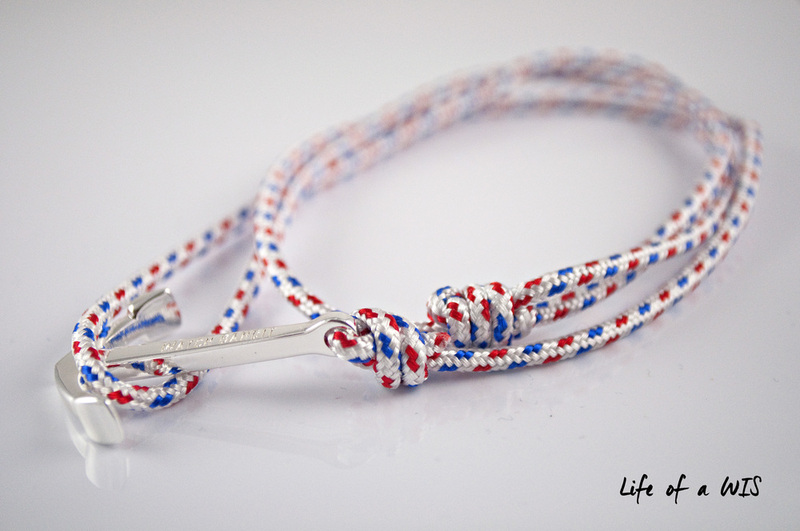 The retail price for this anchor bracelet is €29.95 (about $35) plus shipping. If you look around Instagram, you will find promo codes for 20% off, which knocks the price down to about $28. But if you are too lazy to look for the promo codes on Instagram, you can use the promo code "lifeofawis" and get 15% off anything, except watches. Still sounds like a lot of money for a nylon rope bracelet... but considering the white gold plated anchor, the high quality nylon rope used, and the price of other alternatives, the price after discount is actually quite reasonable. Keep in mind that many of the cheaper ones available online are silver plated and not white gold plated like the ones offered by WatchBandit.com. 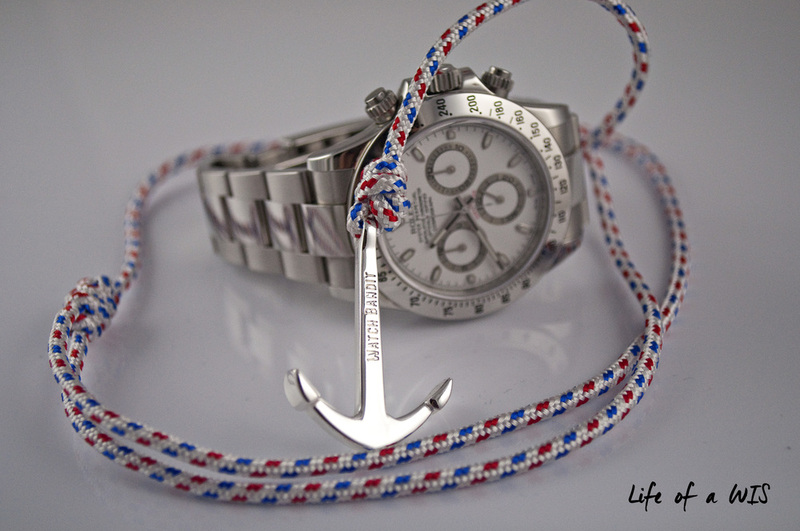 The perfect nautical themed bracelet.